This white paper is about the importance of Chatbot, challenges, possibilities and benefits. Moreover, this paper covers Royal Cyber self-learning chat solution, its capabilities, and integrations. 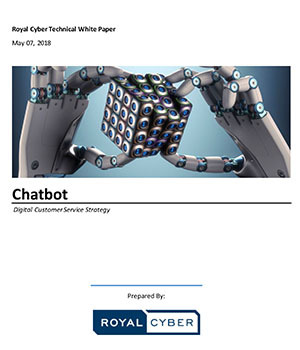 Last but not the least, the paper highlights Royal Cyber services which can help businesses quickly design and deploy Chatbots.